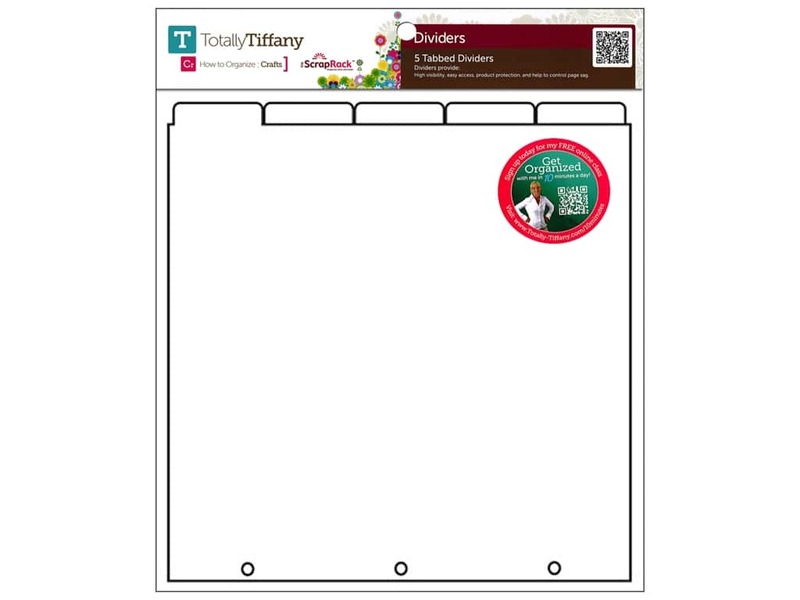 Description: Totally Tiffany ScrapRack Tabbed Divider 5pc- The divider provides high visibility, easy access, product protection, and helps to control page sag. The tabbed divider is approximately 14 in. x 14.75 in. and has standard 3-ring binder holes. For best results use 2-3 dividers per Spinder to help protect the corners and edges of your product. The divider can be labeled using a permanent marker.